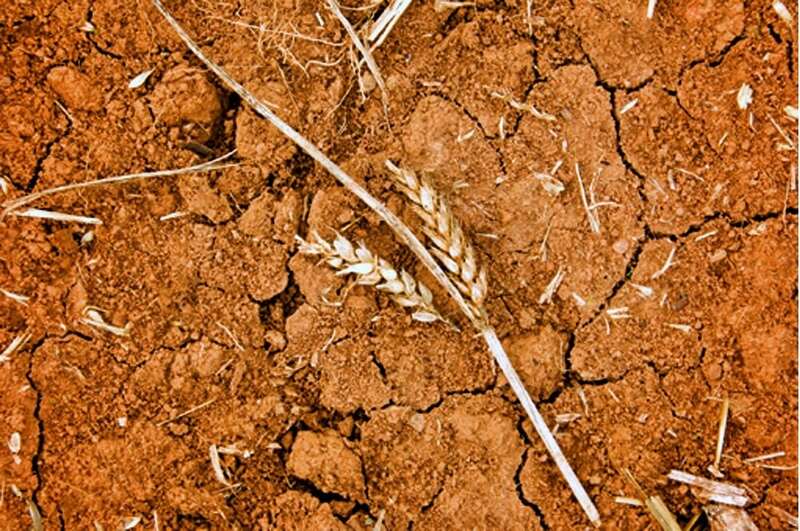 Hamburg | Reuters – Drought and a heatwave that scorched fields in northern Europe may cut the European Union’s wheat export surplus and the bloc will need to consume more of its own grains, experts said on Friday. French analysts Strategie Grains forecast a 10 percent smaller EU soft wheat harvest this year, with northern areas particularly hard hit. EU wheat prices have hit over five-year highs on crop concerns. Some wheat from EU Black Sea exporters such as Romania is likely to stay in Europe rather than being shipped to the Middle East, the trader said. 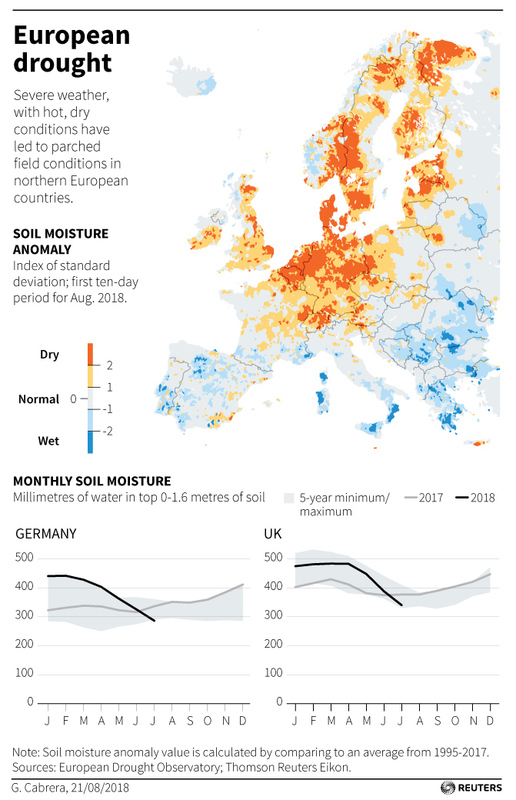 In Germany, the EU’s second-largest producer, the winter wheat crop is expected to fall 19.9 percent on the year to 19.2 million tonnes after the highest July temperatures since records began in 1881. Harvesting is finishing. In France, the EU’s largest producer, harvesting is over. Torrential rain and heatwaves are expected to have cut the crop, although damage was seen as less severe than in northern Europe. Crop estimates are generally between 33 and 35 million tonnes, down from 36.6 million last year, while milling quality was generally good. Quality results showed decent protein content, averaging above 11.5 percent, and test weights generally above milling requirements despite some mixed readings linked to heavy rain, agency FranceAgriMer said. Poland’s crop will fall about 12 percent to roughly 9.9 million tonnes, Wojtek Sabaranski of analysts Sparks Polska said. Harvesting is well advanced but crop quality varies greatly, Sabaranski said. Britain’s winter wheat harvest was nearly 60 percent complete on Aug. 7, well ahead of normal, the Agriculture and Horticulture Development Board said. Trade estimates for the UK wheat harvest range between 13.5 million and 14.0 million tonnes, down from 14.8 million last season. “There have been no real issues with grain quality and the clear dry conditions during harvest mean that crops have been harvested when ripe, with no weather delays,” the board said.